Why Rubber? 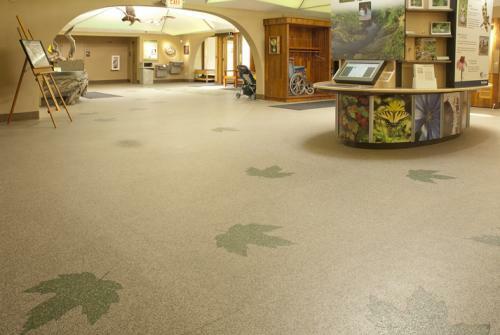 – Kinetic Systems Inc.
Our rubber flooring is made from 90% post consumer product, creating an environmentally conscious product that results in less tires in landfills. Rubber surfacing is no longer just for gyms and arenas, it has vast commercial and residential applications. Rubber floor is safe, has amazing durability, and helps absorb vibration and sound. It is a wonderful anti-static floor perfect for electronic or server rooms. Rubber’s grip coefficient increases when wet, making it have more grip than when dry; a nice safety feature. It’s also great in laundry rooms, entrances, and offices. The possibilities are endless. Explore our colour options, and please call for more information.